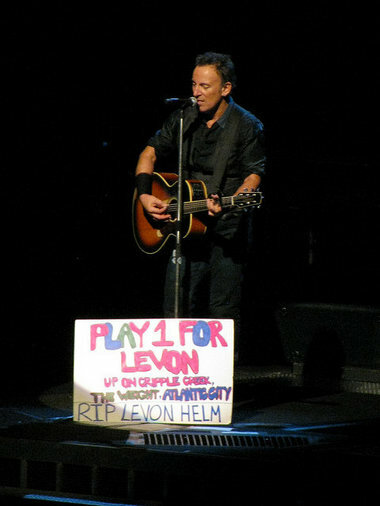 Taking a fan sign request, Bruce & The E Street Band paid tribute to the late Levon Helm in Newark on May 2, performing "The Weight." Read The Huffington Post's full review of the show and see video of the performance here. Visit Live Dates to see the show's complete set list.